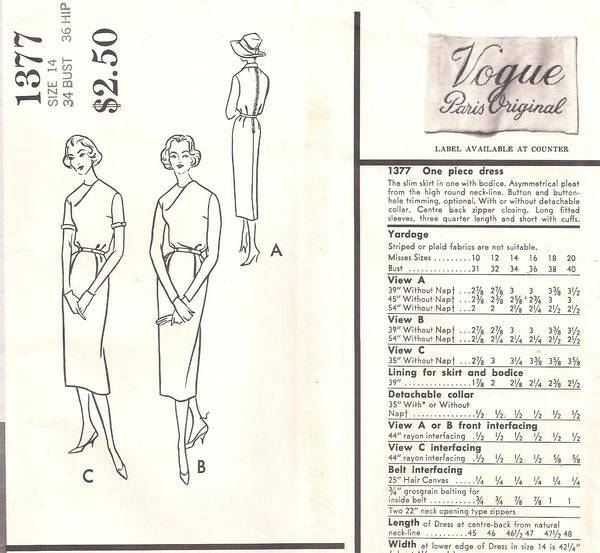 Vintage Vogue Paris Original pattern designed by Jacques Fath. Copyright 1957. One piece dress has slim skirt cut in one with bodice. Asymmetrical pleat from the hight round neck-line. Optional button and buttonhole trimming. Detachable collar. Center back zipper closing. Long fitted sleeves, 3/4 length and short sleeves with cuffs.